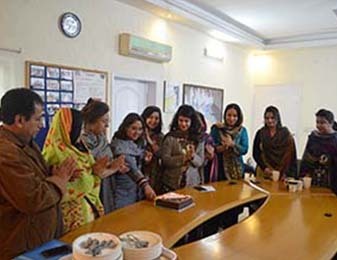 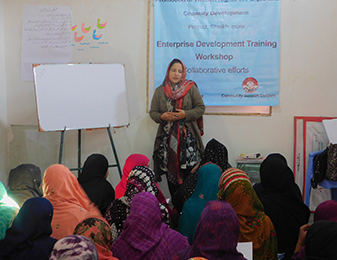 With the vision of creating awareness and promoting women rights, CSC implemented the Promotion of Women Rights in Punjab and Capacity Development in 10 villages of Khanewal. 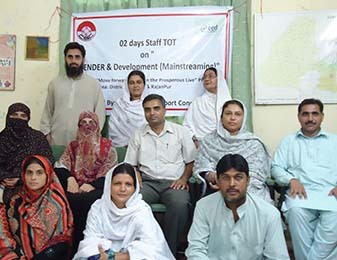 The project involved social interventions at grassroot level by promoting practice and acceptance of women rights through conducting sensitization workshops with various stakeholders that could influence change within their families and communities like active CBOs, religious leaders, young male activists, media personnel, and community women. 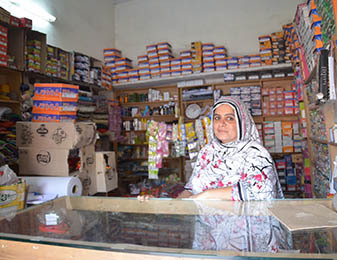 The project also included economic empowerment of the victim and community women, who received skill enhancement and SME development trainings to uplift their socio-economic status in their communities.